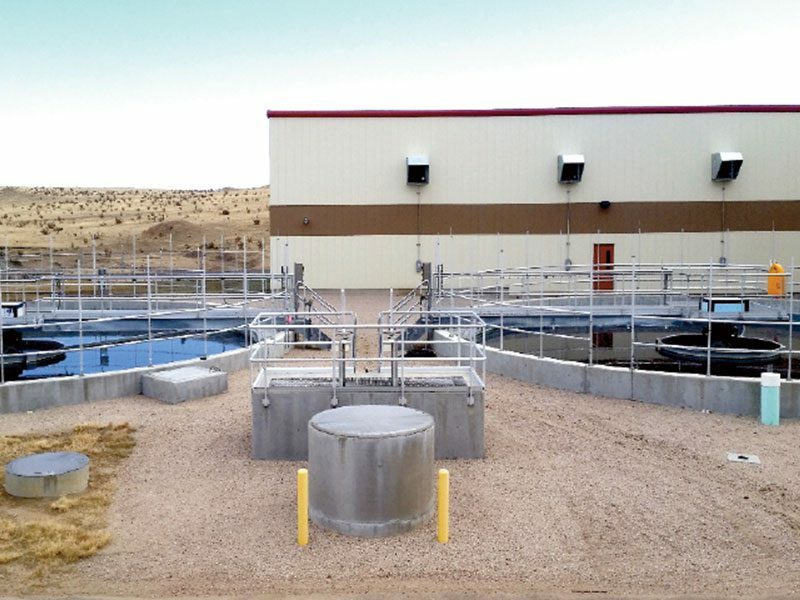 DESCRIPTION: The Harold D. Thompson Regional Water Reclamation Facility, located in Fountain, CO (10 miles south of Colorado Springs) has completed its $4.5mm phosphorous treatment system upgrade to meet its new effluent limits that became effective on July 1, 2018. Colorado Regulation 85 modified the phosphorous and inorganic nitrogen limits in 2012 to reduce nutrient pollution in lakes, rivers, and streams. Integrated Water Services, Inc. (IWS) was awarded a contract to construct the system through a public bid process. The IWS scope of work included: the relocation of existing natural gas, non- potable water and other site utilities; earthwork activities and excavation associated with the below grade tankage and foundation construction; drilling and installation of reinforced concrete drilled caissons; form work, placement, finishing and curing of reinforced concrete process tankage, foundations and building floor slabs; erection of pre-engineered metal building including installation of metal roofing system, metal exterior siding system and interior metal liner panels; installation of buried yard piping including installation of new buried process piping, removal of existing buried process piping and connection of new facilities to existing facilities; installation of process equipment for a chemical addition and high rate clarification process for the control of total phosphorus including chemical feed system and storage tank, polymer feed system, mixing equipment, sludge collection equipment, sludge pumping equipment, process piping, valves and actuators and miscellaneous walkway and hand rail installations; extension of existing electrical power to the new facility including power supply, conversion and distribution equipment; installation of all mechanical and HVAC equipment; installation and coordination of all process monitoring, instrumentation and control equipment including programming, integration and communication with the existing facility’s SCADA system; site work including final grading, paving and surfacing installations; seeding, mulching and fertilizing of all disturbed areas, together with appurtenances and incidentals.